Auntie Anne’s is introducing a new frozen drink to their beverage menu – LEMONADE FROST! This delicious new frozen drink is made with our famous Frozen Lemonade mixed with a vanilla smoothie base and topped with whipped cream and strawberry, mango, blue raspberry, or cherry syrup. 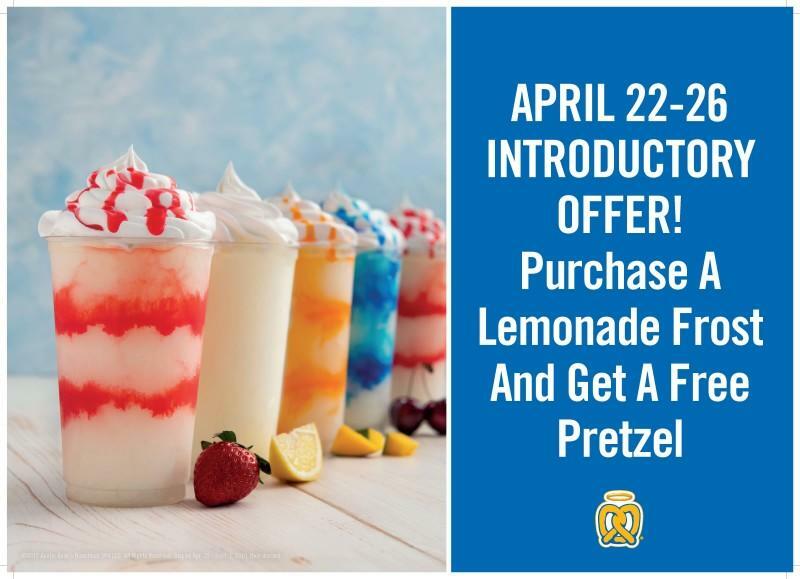 The Lemonade Frost will only be available for a limited time April 22 – September 1.This is the perfect refreshing drink for spring and summer. *See store for more details.